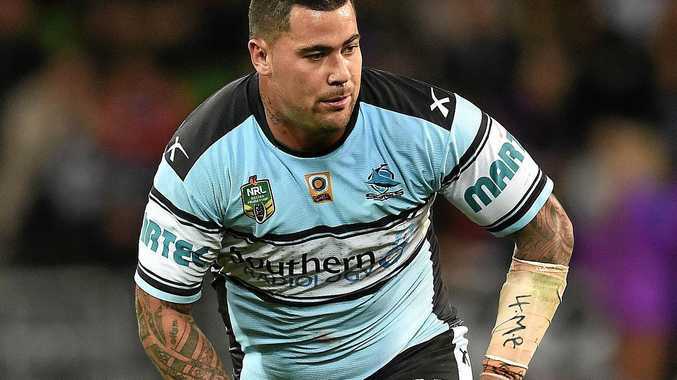 RUGBY LEAGUE: Australian Rugby League Commission chairman John Grant has put his foot down and told Cronulla bad boy Andrew Fifita to start "behaving like an adult”. Having threatened to leave the NRL, the Sharks premiership powerhouse is furious after being snubbed for both the Clive Churchill Medal and a Kangaroos jersey. The 27-year-old prop is reportedly considering offers to play in either the English Super League or French rugby next year. Grant told reporters he would be "very disappointed” if Fifita quit the NRL. "He doesn't need to do that. I don't know why there'd be any contemplation of that,” he said. "What Andrew needs to do is what he's been asked to do, which is behave like an adult. "Andrew's a great player, we want him in our game, but you've got to be a certain individual. "This rankle is all about selection for the Kangaroos and not being available for selection. 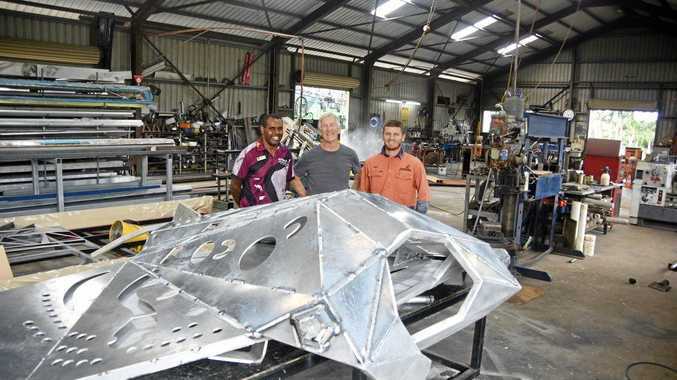 We're very purposefully making the Kangaroos the elite rugby league team in Australia. It's a global team and we're going to get not the best players but the best men. "That's what Mal Meninga's 100% committed to and what we as a game are 100% committed to and Andrew can be that. The NRL's integrity unit is still investigating his public support of convicted one-punch killer Kieran Loveridge, a childhood friend. Grant said there was no need for him to have a sit down with Fifita but said the commission's stance on the issue needed to be clear. "Todd (Greenberg)'s having these discussions directly,” he said. "(But) I'd be really surprised if he doesn't know this. I'm not in the day-to-day so I don't know what's gone on but it's impossible to believe that Andrew, through his club or coach or Mal Meninga or the NRL, doesn't clearly know what's expected of him.